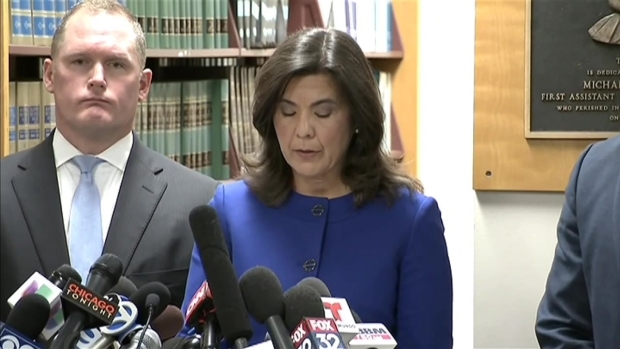 Cook County State's Attorney Anita Alvarez on Tuesday addressed questions surrounding missing footage from a security camera located fewer than 100 yards from where 17-year-old Laquan McDonald was shot and killed by a police officer last year. Alvarez, in response to a question from NBC 5 Political Editor Carol Marin, said forensic testing was done on surveillance footage from a Burger King restaurant close to where the shooting took place to determine if the video had been "tampered with." "Forensic testing was done on the Burger King surveillance system to determine if anyone tampered with the evidence and the testing did not reveal any such evidence," she said. She declined to comment on which agency conducted the tests, however. Laquan McDonald Video Will "Tear at Hearts of All Chicagoans"
In a press conference Tuesday, Cook County State's Attorney Anita Alvarez called video of Laquan McDonald's deadly shooting "graphic," "violent" and "chilling." 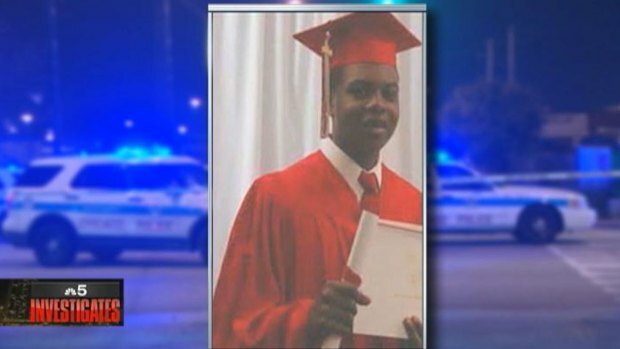 McDonald was shot 16 times by a Chicago police officer on the night of Oct. 20, 2014. Earlier this year, a Chicago-area district manager for the food chain told NBC5 Investigates that Chicago police officers deleted footage from the security camera. The 86-minutes of missing video runs from 9:13 p.m. to 10:39 p.m., according to the lawyers for McDonald’s family. McDonald was shot at approximately 9:50 p.m.
86 missing minutes. What happened to video from a security camera near a police-involved shooting? Carol Marin investigates. The Burger King sits at 40th and Pulaski and has a series of outside security cameras. On the night of the shooting, McDonald was trailed by Chicago police officers through the Burger King parking lot after a call about a man with a knife, according to attorneys for the McDonald family. Just south of the restaurant, McDonald, who was armed with a knife, was shot after police on the scene said he posed a "very serious threat" to the officer’s safety. But that claim is disputed by attorneys for McDonald’s family and by some eyewitnesses that night. "One witness, this witness told us this was an execution. That’s his word," said attorney Jeff Neslund, who along with Michael Robbins, represents McDonald’s family. After the shooting, according to Jay Darshane, the District Manager for Burger King, four to five police officers wearing blue and white shirts entered the restaurant and asked to view the video and were given the password to the equipment. Three hours later they left, he said. The next day, when an investigator from the Independent Police Review Authority asked to view the security footage, it was discovered that 86 minutes of the video were missing. In a statement, a spokesman for the IPRA said: "We have no credible evidence at this time that would cause us to believe CPD purged or erased any surveillance video." But according to Darshane, both the cameras and video recorder were all on and working properly the night of the shooting. "We had no idea they were going to sit there and delete files," Darshane said. "I mean we were just trying to help the police officers." "The video by nature is two dimensional so the problem is it distorts distances, and distances and depth perception are important," he said. "The most critical problem is that the video does not depict what my client was seeing. It is not a video from the eyes of my client." The missing video, all sides agree, would not have shown the actual shooting but attorneys for McDonald’s family contend it could have shown events leading up to the shooting. "Our first time down at the Burger King restaurant when we started talking to employees, watching the Burger King video, when we realized video had been deleted, or is missing, absolutely we knew something was up," said Jeff Neslund. While the video from the Burger King is missing, the shooting of McDonald was captured on a police dashboard camera. That video is expected to be made public this week, and is said to be "violent and graphic." The officer involved in the shooting was charged with first-degree murder Tuesday and ordered held without bail. Prosecutors said in court Tuesday that the shooting happened within 15 seconds, but for 13 of those seconds McDonald was on the ground. They added the video "clearly does not show McDonald advancing toward [Van Dyke]." Attorney Dan Herbert, who represents Officer Jason Van Dyke, has argued the dash-cam video alone is not enough to determine if Van Dyke "acted inappropriately" when he fatally shot McDonald. He said it is "limited" and does not show the events leading up to the shooting.